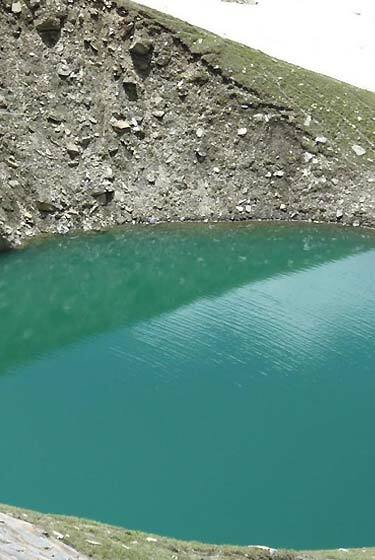 Bhrigu Lake is located at an around 4,300 metres in Kullu district and is located to the east of Rohtang Pass and is around 6 kilometres from Gulaba village. DAY 1 : Manali to Gulaba then trek to Kothi Thel (2900mts.) 5hrs. We drive 15km. upto the Manali Rohtang highway to the meadows of Gulaba. The views of the upper kullu valley from here are quite spectacular. The trail toward the lake goes east ward and climb through the dence forest of Deodar the cross a small stream to the camp site of kothi Theli. DAY 2 : Kothi theli to Bhrigu. (4240mts) 5 hrs. We ascent towards the lake slowly as the altitude can make you a little breathless. 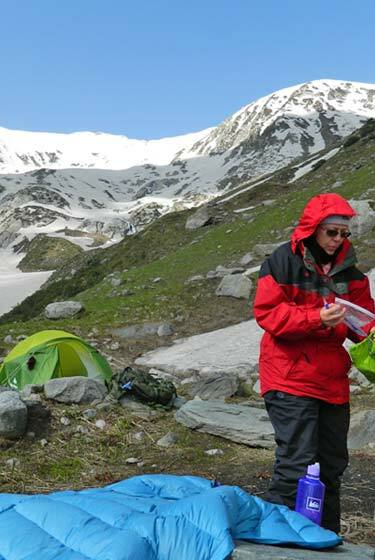 we cross a mountain stream and then keep climbing till we cross a mountain ridge beyond which lies the Bhrigu lake. We reach the beautiful lake by the afternoon and set the camp. 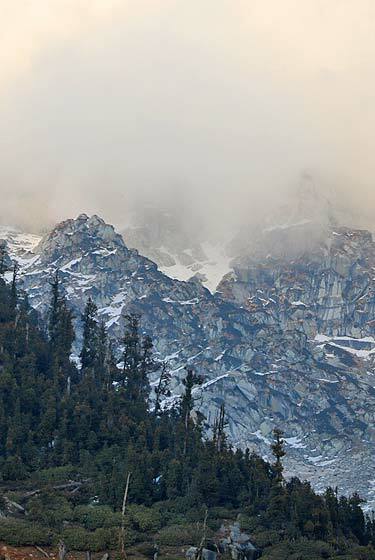 DAY 3 : Bhrigu Lake to Vashisht Thel(3600mts) 4hrs. After the breathtaking views of the Bhrigu lake We walk cross a small meadows and climbing up to a mountain to Vashisht Theli. 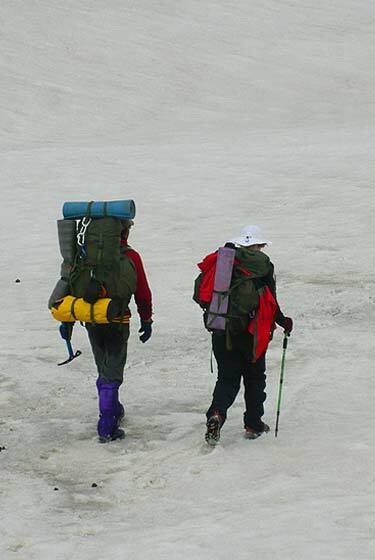 During the trekking we will pass through the Pandu Ropa(Rice fields of Pandvas) over night camp. DAY 4 : Vashisht Thel to Vashisht village then to Manali 4hrs. This day is our steep descent to the village of Vashisht. 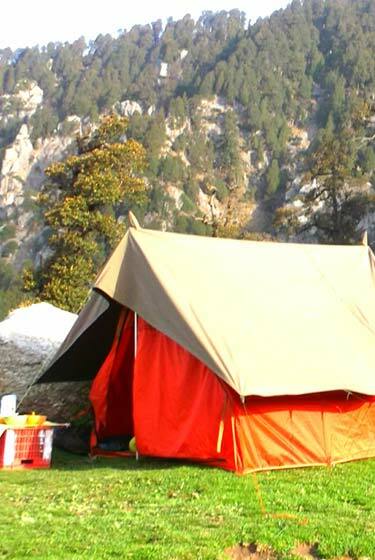 The descend offer a great view of the entire Kullu valley. 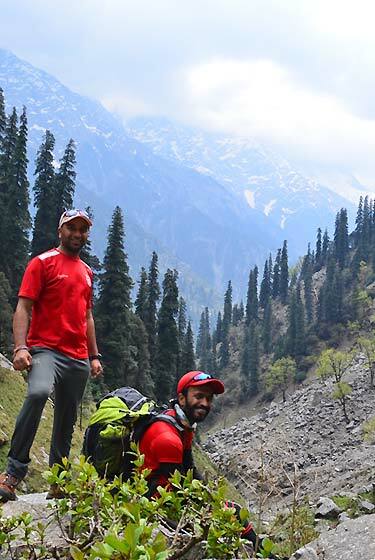 We walk through forest and slowly emerged into apple orchards and finally reach the Vashisht hot spring then to Manali.